Religious teachings on the treatment of animals can affect the behaviour of people towards animals, both positively and negatively. This page includes general information on religion and animals. Bear in mind that the content of websites etc. may be biased towards the writer or organisation's beliefs. Issues guides include high quality articles on today's social issues. Get instant access on a TTS school PC or find our password here. A short extract about religious slaughter, from a UK parliament document. What is done to stop halal slaughter? An article about halal slaughter, written using information from 'Compassion in World Farming'. 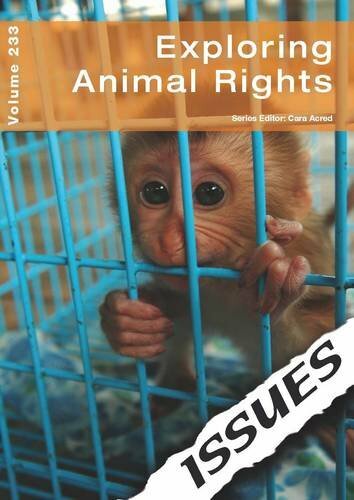 View the complete 'Animal rights' book online. This video is the introduction to a summer school organised by the Oxford Centre for Animal Ethics. It includes some interesting information about religion and animals. Follow the links on this BBC page to find out about animal ethics for a number of religions. 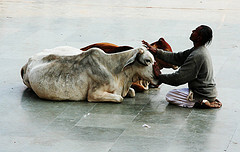 This document was created by World Animal.net and includes lots of useful information about religion and animal welfare. 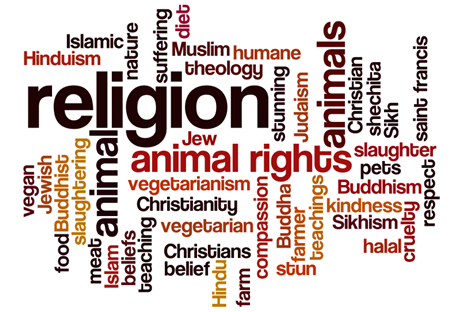 This page outlines the beliefs of a number of religions with regard to animals. Links to issues and arguments about animal rights, animal welfare, animals and religion, and animals and spirituality. BBC - Should animals be stunned before slaughter? A discussion on different beliefs around slaughter and whether animals should be stunned first or not. Here are some examples of keywords to use when you search for more information. Explore the tabs in the box below to search for more information resources. Combine two or three keywords to retrieve information on a specific topic. These books are about animal rights and include sections on religion. Preview copies of these books are available online.